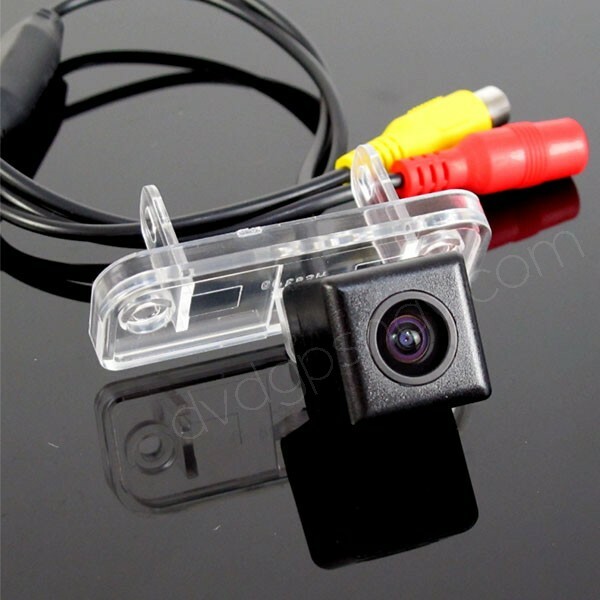 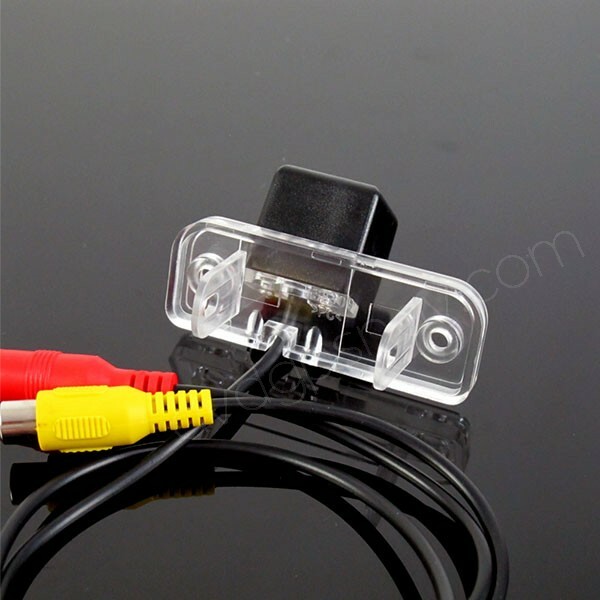 This back up camera is special for Mercedes-Benz E-Class W211 E350, E280, E220, E300, E320, E500, E550, E63 and so on, it replaces one car license plat light for installation, if the measurements from your car license plate light of W211 is 65x24mm, you can install this W211 rear camer, and it's compatible with our Mercedes w211 Android head unit. 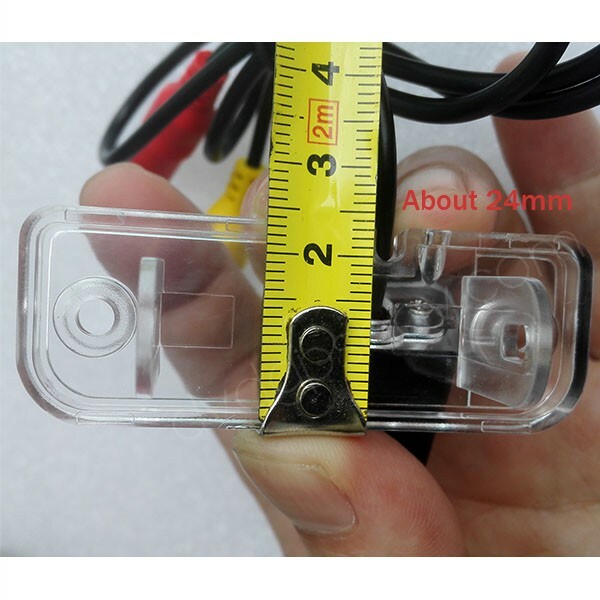 This Mercedes W211 license plate rear camera may also fit C-Class W203, W209, CLS, W219, A-Class, B-Class, please measure the dimensions from car license plate light(65*24mm) to make sure this camera fits your car. 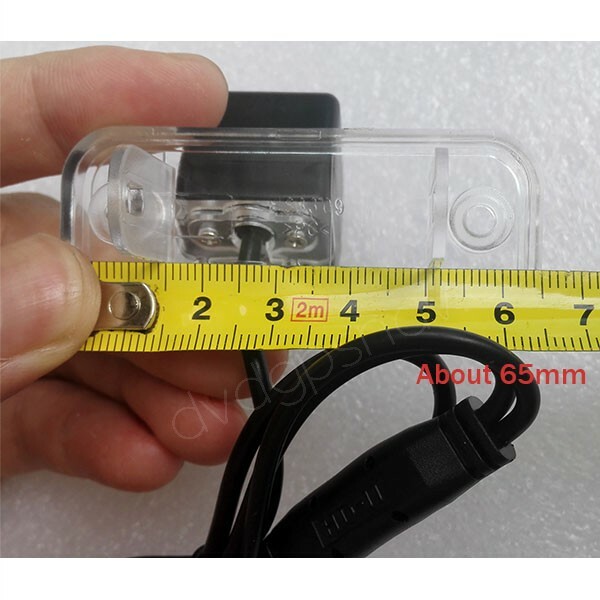 A: The dimensions of this camera for Mercedes Benz E-Class W211 is about 65x24mm, your measurements from number plate light hole is 67x26mm, just 2mm difference, so this camera should fit your car, it doesn't matter which side you use.